It’s that time of year again. 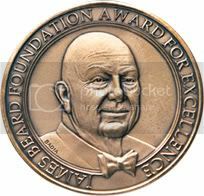 Along with the nail-biting countdown to May and the annual James Beard Foundation Awards. The semifinalists for the Restaurant and Chef Awards have been announced, and judges from across the country will take a look at the list below and vote to narrow it down to a final list of deserving nominees. Meanwhile, check it out to see if perhaps your favorite chefs and restaurants have at least made it to the longlist.